Overstocks | Trendy Organiser Bags | Beary Pouch Bags | Coorey & Co. I wanted to let you know about the trendy organiser bags that I have. These are a regular line, the only reason they are on sale as overstocks is because some (not all) of the “hang sell” plastic hooks are falling of the header cards which means they are not perfect. All are barcoded and packed within inners in their outer cartons. Let me know if you would like to buy them. These trendy organiser bags are stocked in Sydney, Australia and have an excellent reputation in the marketplace for style and quality of materials. It is definitely worth having a look at a sample to feel the quality and style for yourself. Get in touch with us for an inventory listing with all of the quantities. Here’s some organiser bag overstocks images…. 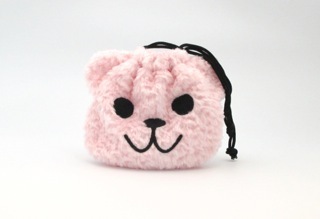 Also available are 3,892 Beary Pouch Bag overstocks that play sounds…. Come in pink, cream, brown, red and beige colours. They were recently sold at the Royal Easter Show in Sydney are were extremely successful in terms of total sales. These cute little beady pouch bags are 13cm round and play one of two sounds. Contact us now to find out your special pricing for these overstocks of trendy organiser bags and beary pouch bags. If the quantity is too large, we can look at breaking up the parcel for the right stock buyer.